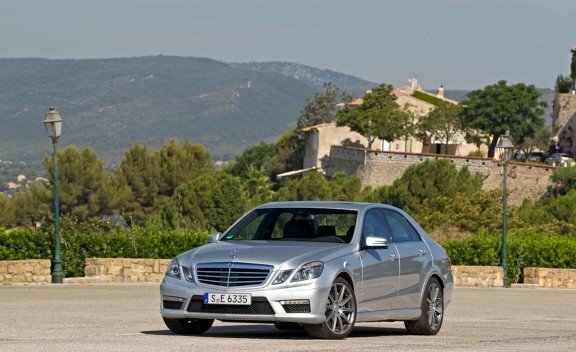 The Nordschleife-time belongs to the NA-V8 E63 AMG, instead of this biturbo-version. Please correct it. Whomever wrote those times is an idiot. Car and Driver posted ESTIMATES for the times, not actual times. Learn to read. No. Normally 700 Nm, with PP: 800. 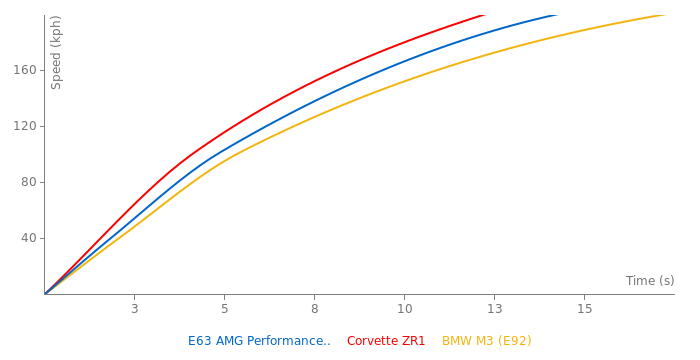 1765kg is ultralight for this class, I mean the CTS-V is 150kg heavier, and the new M5 is 105kg heavier..
after all is a little estrange that the AMG car with 5.5L Bi-turbo weights the same as the E350 with a 3.0L V6. The weight is 1765 kg for the simple E 63 AMG, this is the PP version, maybe it's a little heavier. AMG also uses "leergewicht". Leergewicht automatically means +75 kg. The Mercedes page also writes 1840 kg and mention that it includes 68+7 kg. Weight is 1840kg, the AMG website only mentions weights without the 68kg driver and 7kg luggage.